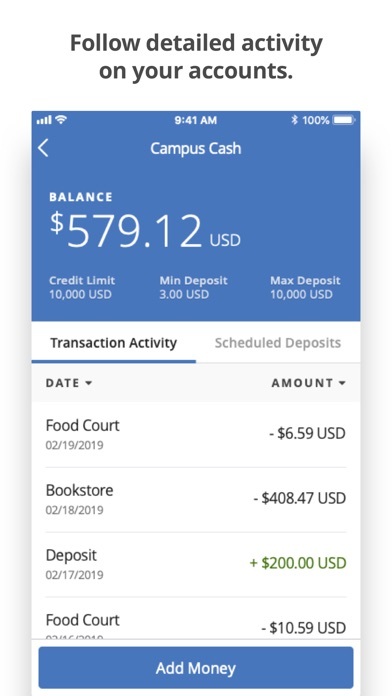 For users at participating campuses and institutions, eAccounts mobile makes it easy to view account balances, add money and track recent transactions. 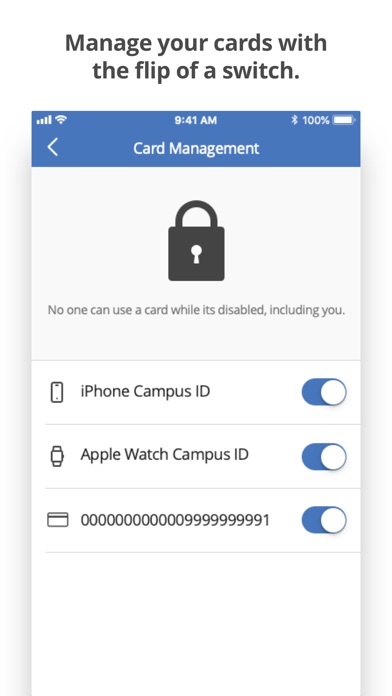 At select campuses, users can now add their ID card to Wallet to access places like your dorm, the library, and events; or pay for laundry, snacks, and dinners using their iPhone and Apple Watch. 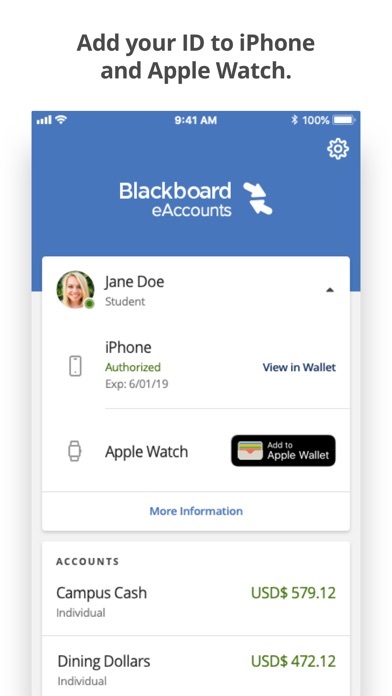 Key Features & Benefits: • View account balances • Track recent transactions • Add money to accounts using Apple Pay or a previously-saved payment method • Add your ID card to Apple Wallet (select campuses) • Report cards lost or found • Change PIN Requirements: • Campus or institution must subscribe to eAccounts service • Campus or institution must enable mobile features to provide access to users • Wi-Fi or cellular data plan for Internet access Contact your campus ID card office to check availability. Will not even allow me to authenticate and login. When I tried to add my payment method to Cave Cash for my Claw Card (GGC), it was not working. It told me that I couldn’t add or manage the payment at this time. What’s the problem of this one??? Please figure it out soon. Robert Morris University in PA isn’t listed, and they use Blackboard. Wish I could use this! No option on mobile app to either reset password or get in if you forgot your password. Very inconvenient. When trying to make an account I couldn’t even find the college I go to which is USC Columbia. They use blackboard and everything. So why aren’t they on the college sign-in list? 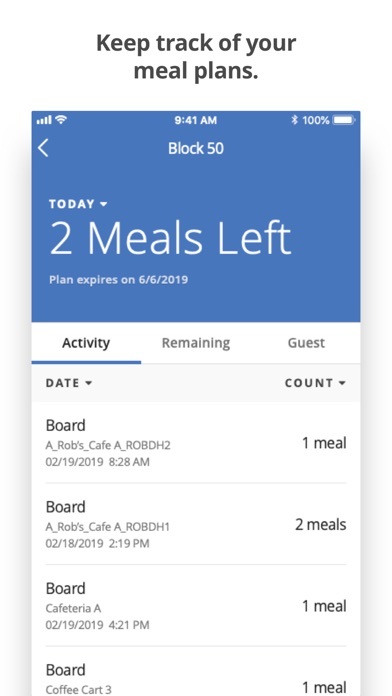 This app is usually very useful but lately has not allowed me to add funds, which is very frustrating when your hungry. 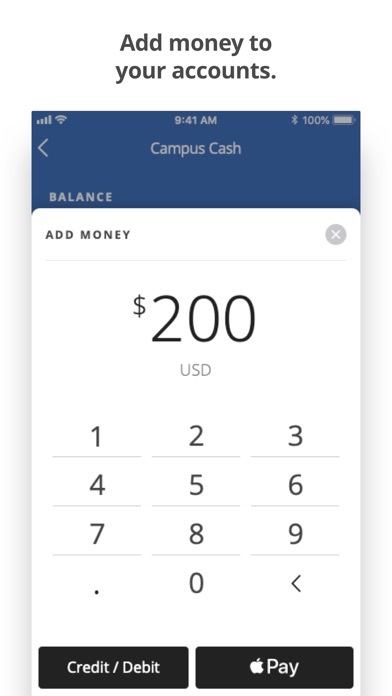 There is no way or easy way to add new billing information to make deposits through the app. When I go to add funds to my card it says there is no saved credit card info to add funds from, but there is no option in the app to add a new card. How tf are you supposed to add money. It’s been years since an update. What going on with y’all? 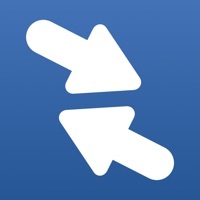 Bring this app up into modern times. UI/UX needs to reflect modernity. 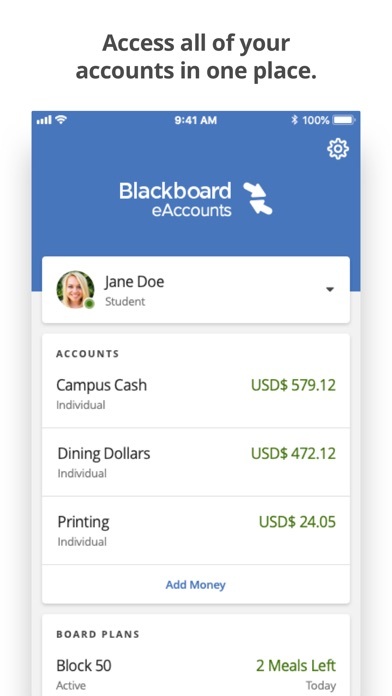 This is the closest I can come to writing something for the blackboard mobile learn app. That app was imperative to have for me on my phone and iPad in college and since there is no update and I can’t use it I cannot function! Terrible. There is very little information provided by this app. All you can do is check balance, increase your balance, and report lost card. It doesn't even say how many meals I have left. Pretty much a useless app. A 3-yr old could write a better, more robust interface. 2-stars because at least it did display my information. eAccounts worked fine until I upgraded to iOS 7. Now it crashes every time I open it. I don't understand the purpose of this app. All I can do is check my balance and report a card lost or stolen. I suppose if that's all you need it for its great however, I expected to be able to transfer money from my bank account to my card with this app but I guess I was expecting too much. Oh well.